In this article we are going to discuss about levelling which is a branch of surveying. 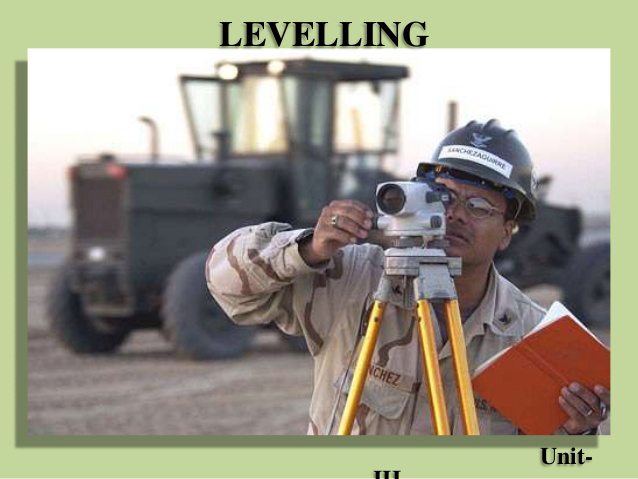 Well, before approaching towards the lecture we need to know what is levelling? Levelling is defined as "an art of determining relative height of different points on, above or below the surface". The principle of leveling is to acquire horizontal line of sight regarding which vertical distances of the points above or below this line of sight are found. To detect the elevation of the given point regarding some supposed reference line which is called datum. To set up point at necessary elevation respect to datum. Now watch the video lecture with nice demonstration to know the detailed operations in leveling.